The mixture of powders and herbal extracts to ensure perfect male health, stamina, vigor and vitality. It is a time-tested blend of herbal formulations which is the mixture of powders and herbal extracts to ensure perfect male health, stamina, vigor and vitality. In many cases it can also be used for women like female low libido, vitality tonic. Ashwagandha (Winter cherry) - Ashwagandha is known for its effects in rejuvenating sexual ability and performance. 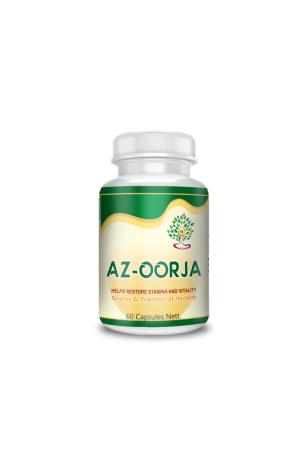 It is considered as a premier anti-aging herb due to its rejuvenation and longevity enhancers. It strengthens the male reproductive system. It helps in male infertility and loss of libido. It also possesses anti-aging and mood elevating property. So it is also helpful in psychological impotence. It is also known as Indian ginseng. Ashwagandha has a rejuvenating effect on the body and improves vitality. It boosts up the immune system. Shilajeet (Mineral pitch) - Studies report the fulvic acid in shilajeet appears to help against some causes of alzheimer’s disease. So that’s why it becomes an important part of the herbal combination which is meant to increase the immune system of the body. These molecules prevent the breakdown of the brain chemicals needed for memory. So where body strength and mental strength both needed, shilajeet is the best choice. Shatavari (Asparagus recemosus) - It has an aphrodisiac and cooling effect and adaptogenic. Shatavari is useful for the male and female reproductive organs and the urinary tract. Shatavari nourishes and cleans both the blood and the female reproductive organs. Shatavari has been safely used in Ayurveda (Indian Herbal System) for thousand of years for fertility and vitality. Mulathi (Glycyrrhiza glabra) - It is natural, efficacious and antioxidant with the richest natural source of Vitamin C. It has a revitalizing effect and contains a chemical which prevents aging and provides strength in old age. Gokhru (Tribulus terrestris - The reproductive systems of both men and women receive beneficial results from Gokhru. It may be used in formulations for impotence, venereal diseases or sexual debility. Aphrodisiac action due to the presence of saponin in gokhru. It boosts the hormones in the body. Launch (Mucuna pruriens) - It is basically used for the purpose of increasing the sperm count. The total alkaloids from seeds of Mucuna pruriens comprising 5 alkaloidal bases were found to bring about a note-worthy increase in the population of spermatozoa and in the weights of body testes, seminal vesicles and prostrate of the treated rats. The exhibited activity was found to stimulate testosterone-enanthate induced androgenic activity observed in another set of treated individuals. Amla (Indian gooseberry) - It is a natural, efficacious, an antioxidant with the richest natural source of Vitamin C. It has a revitalizing effect. It contains a chemical which prevents aging and provides strength in old age.